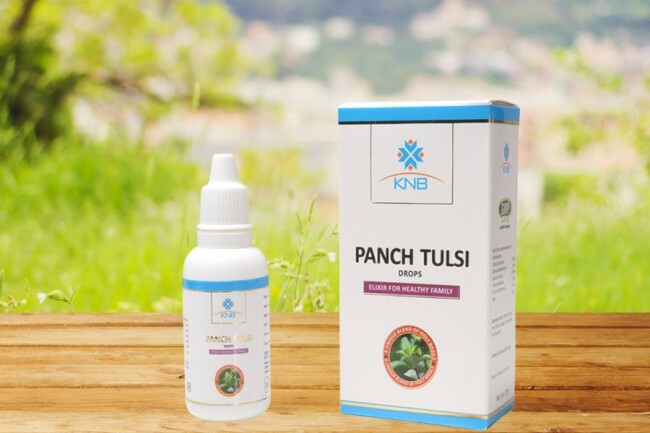 KNB brings to you the Mother Medicine of Nature – Panch Tulsi Drops, which can rejuvenate your body and give you the energy to win the world! From a better immune system to better vision, from a calmer mind to a having more stamina, there is simply so much that our drops can do for you. 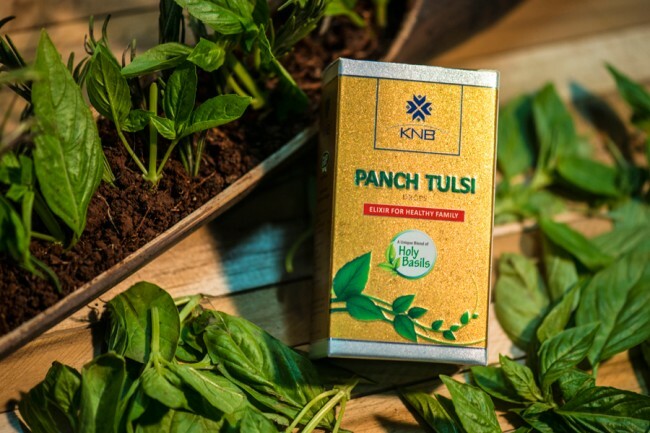 Tulsi has always been considered a holy plant in India and all over the world, it is known as the holy basil. While it has found much use in the food industry, it has also won much acclaim in the world of natural and ayurvedic medicine. For centuries, Indian homes have had a tulsi plant in their home, because right from curing the common cold to treating indigestion, a few leaves from this plant can work magic. With the pure extract of tulsi, KNB brings Panch Tulsi Drops, which is a must in every home, simply because of the benefits that it has to offer. Not only can it give your immune system the boost it requires, it can reduce stress and increase your stamina. If you have respiratory problems, you should use our drops. When you are looking for an increase in your stamina or are trying to find a natural solution to control your blood sugar, this is a great option for you. All our products are formulated in a state of the art unit, ensuring perfect and consistent products, every time. If taken in the right/prescribed dosage, you will start seeing the results in a few weeks’ time. Give our products a try today and start living healthy!